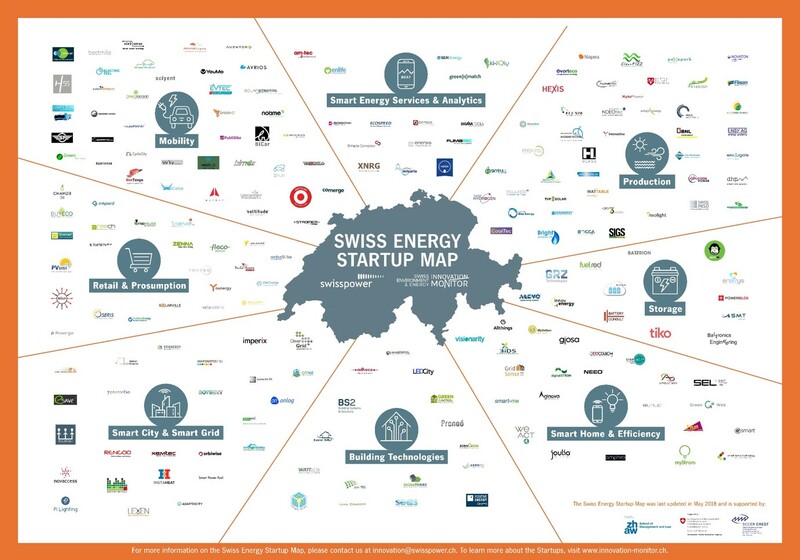 As a first project, highlighting active Swiss startups working on innovative solutions in the energy sector, the Swiss Energy Startup Map provides a visual overview for use by the private and public sectors, as well as research and consumers, interested in the latest energy-related products and services. A collaboration between the Center for Innovation and Entrepreneurship at the ZHAW and Swisspower, the map will be sent throughout our networks to spark sector interest and bring more visibility to your company on the map. We hope you find the database helpful for your own work, as this website should grow beyond a research tool, thus we are open to develop with you the how & why you interact with the website. We look forward to your feedback, questions and suggestions to continue improving our work. As a startup company, you are welcome to sign-up and improve your profile on the website.